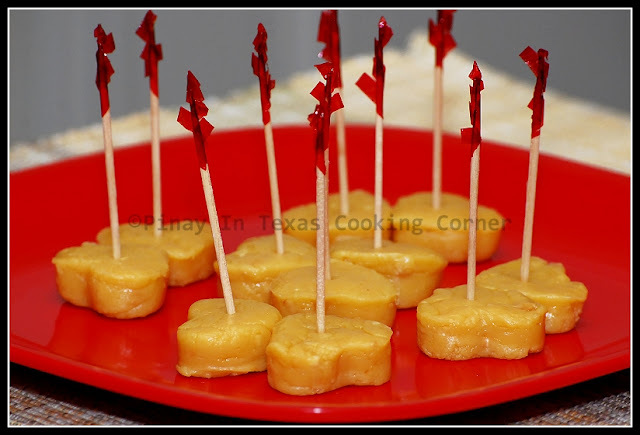 Yema is a type of custard candy made from egg yolks and condensed milk. I'm sure you'll be wondering what to do with the egg whites. 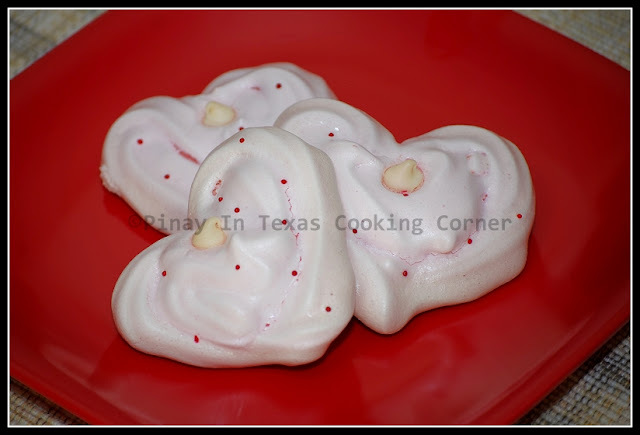 Well, here's another easy-to-prepare dessert that you can make --- MERINGUE. 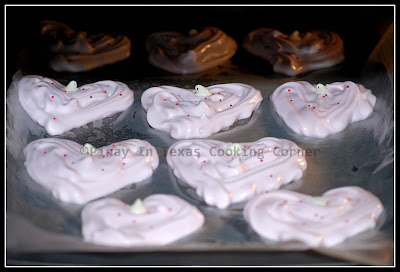 To make them more perfect for Valentine's Day, I added 3 drops of pink food color and a little red sprinkles and white morsel on top and made them heart-shaped instead of the most common kiss-shaped ones. YEMA and MERINGUE are desserts that the whole family will surely love! Try it! Note: Making Valentine's Day meaningful and special doesn't mean stressing yourself out to make elaborate preparations. Remember, nothing says "I love you" better than giving out your best and putting your heart to whatever meal you prepare. Anything you prepare with your personal touch will make Valentine's Day special to you and your loved ones! Just check out your blog. Your recipes look different than anything I've tried before--love it! I've visited your blog and read some of your posts. As a mother, I can totally relate to you! Love it and I'm following your blog now!